It’s hard to believe but dental implants are not the new, they have been around for over 50 Years! Where people once chose more traditional options such as bridges or dentures, today, they are now more likely to opt for dental implants to replace one or more missing teeth or to support dentures. This is by far a superior option as implants don’t have to be attached to healthy adjacent teeth which would usually have to be cut down and sacrificed to “bridge the gap” created by a missing tooth. When an implant is placed, it is essentially replacing the root of the missing natural tooth, and in doing so, prevents the loss of remaining jawbone. Bone integrity is essential for a healthy dentition! But I have other teeth…. The adult dentition can have up or 32 teeth, so it is understandable why some people would believe that one or two missing teeth shouldn’t make that much of a difference, but it does! Even a single missing tooth compromises the support of the other surrounding teeth and bone leading to dental collapse. We have found over the years that most people have never really become accustomed to having missing teeth nor the dentures or bridges that were designed to replace them. There are many people who simple refuse to wear the dentures they paid for and that is unfortunate. We’ve had patients come to see us about implants who have been “chewing” with their gums for years. And oftentimes, people are not diligent in maintaining the level of dental care that is required for bridges. This can lead to bone loss, gum disease, loose bridges, tooth decay under bridges, broken anchor teeth, and eventually – more missing teeth! Implants are literally changing the quality of people’s lives! 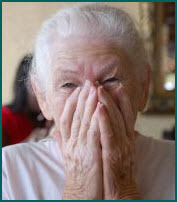 For some, conventional dentures can be a terrible nuisance and can cause the wearer a lot of aggravation. 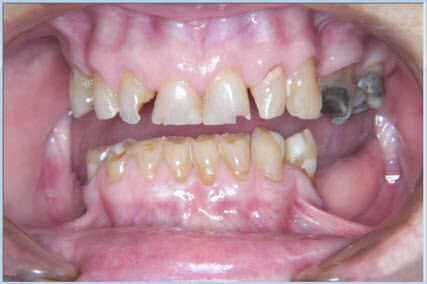 Bone loss associated with the prolonged use of dentures is inevitable. With your jawbone constantly changing shape and becoming smaller with age, dentures need to be relined constantly to adapt to these changes. Mouth sores associated with dentures can be annoying and paying for dentures that you are not using is no solution at all! Are your dentures loose and ill-fitting? Are you constantly worried about keeping them in your mouth while you chew or speak? Dental Implants can be inserted to stabilize and support your dentures and are literally changing the way people’s ability to enjoy life. If you are missing out on life because of missing teeth and would like to regain the ability to eat and speak with confidence give us a call today at (905) 5SMILES to book your no-obligation consultation. We have been in the smile business for over 30 years and are experienced at listening to your expectations and discussing your options. See if Dental Implants are Right for You! Next postThank You for Your Referrals! I got what you intend, thanks for posting .Woh I am delighted to find this website through google. “Do not be too timid and squeamish about your actions. All life is an experiment.” by Ralph Waldo Emerson.